N.B: Please note, the set of 12 salts are contained in a standard box. They are not delivered in a wooden or 'presentation' box. NB: Schuessler Tissue remedies are traditionally sold in weight. There are about 200 tablets per 20 gram container. 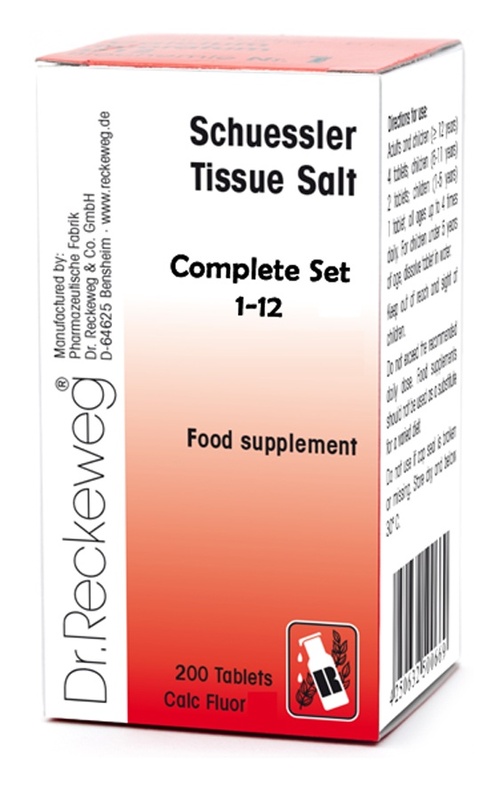 Send Us Your Review of Schuessler Complete Set of 12 Individual Tissue Salts - BULK OFFER!